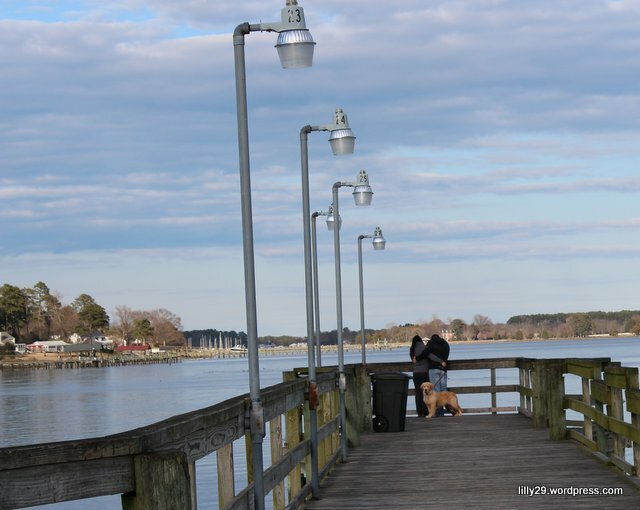 This entry was posted in Animals, Art, Couples, Photography, Response, Story Time, Travel and tagged arts, Couple, dog, Gloucester Point Beach, illustration, Lovers, photo, poem, surprises, Virginia. Bookmark the permalink. Lilly, I was sure I left a comment on this picture before, but it appears it did not post. I’m the girl in the picture! 🙂 It was so lovely to meet you, and I hope the rest of your time in Virginia was great! Dug has grown so much, he’s a whopping 80 lbs now. Lovely picture, thank you!